Brightly coloured signage made Maroli restaurant standout from the other restaurants in Korea Town. I was drawn in by their promise of exotic spices. 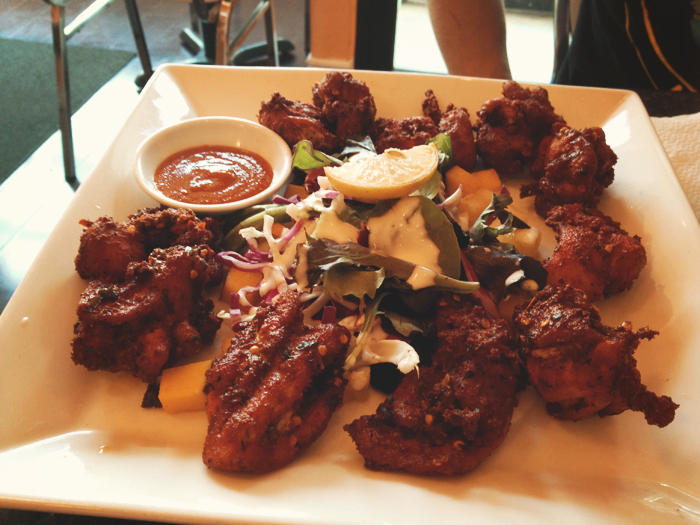 The Malabar Chicken ($11.99) is their signature dish. It’s a deep fried chicken with 16 spices and might actually be my favourite fried chicken in Toronto. The chicken didn’t feel heavy, yet it was crunchy and flavourful. 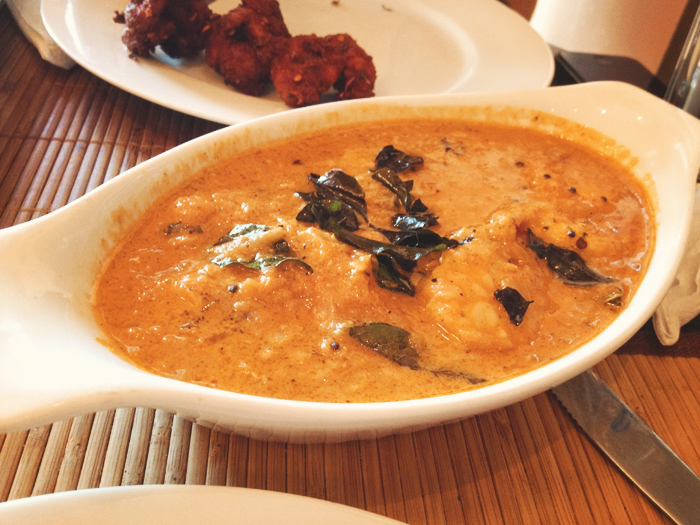 The other thing we ordered was the Shrimp Malabari ($14.99). It was a lovely coconut curry much like the one I had at Banjara. 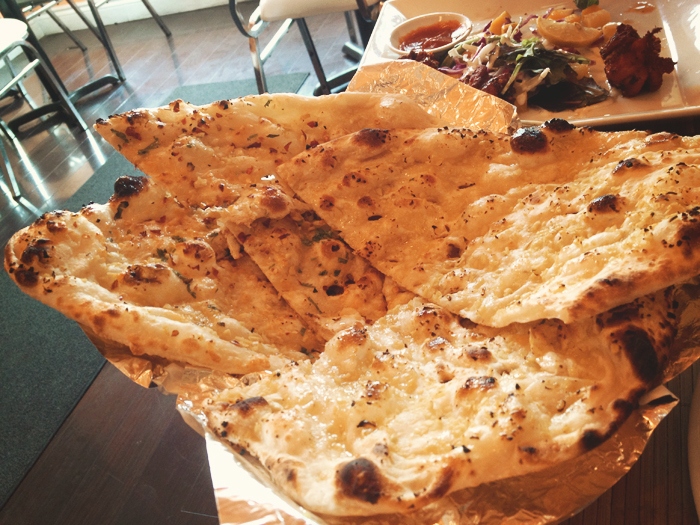 To accompany the curry, we had some Garlic Naan ($3.25) and Maroli Special Naan ($3.25). The latter had cheese, garlic and crushed chillies. The service was very helpful in explaining what everything was. I was happy the place has free delivery (up to 5km) on their website. I’ll eventually make my way through their entire menu!